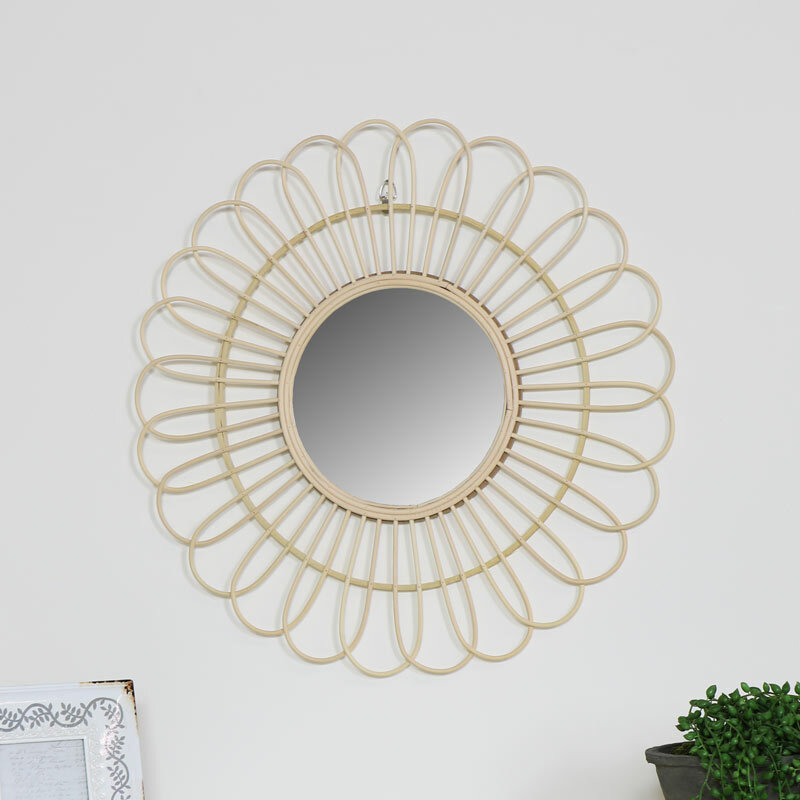 Pretty wall mounted mirror with round, flower petal shape rattan frame. Hints of a boho theme and summer vibes. Perfect for displaying in the living room or hallway. Lovely flower petal effect with the frame encirling the round mirror centre. This will also be ideal for a girly bedroom decor. A great addition to our growing range of wall mirrors. Large to small in a fantastic choice of colours and styles. 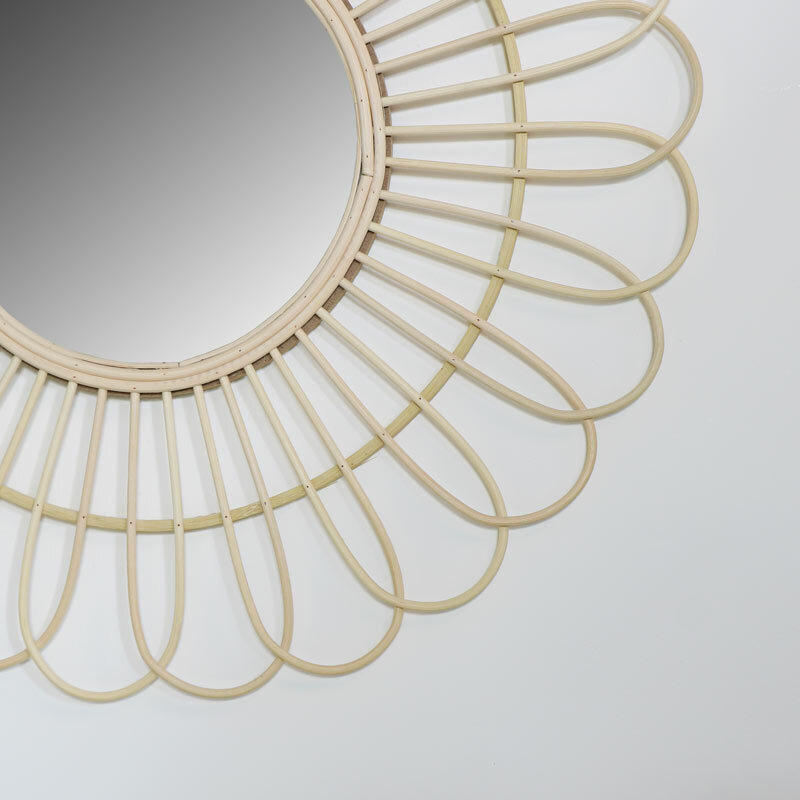 Pretty wall mounted mirror with round, flower petal shape rattan frame. Hints of a boho theme and summer vibes. Perfect for displaying in the living room or hallway. Lovely flower petal effect with the frame encirling the round mirror centre. This will also be ideal for a girly bedroom decor. A great addition to our growing range of wall mirrors. Large to small in a fantastic choice of colours and styles.